Olive oil is highly regarded for its heart health benefits. However, olive oil should not be used in cooking. Unrefined olive oil has a relatively low smoke point. What is a smoke point, you say? It is the temperature at which an oil or a fat breaks down into free fatty acids and glycerol. This causes the oil to oxidize and produce free radicals, which are toxic when inhaled. 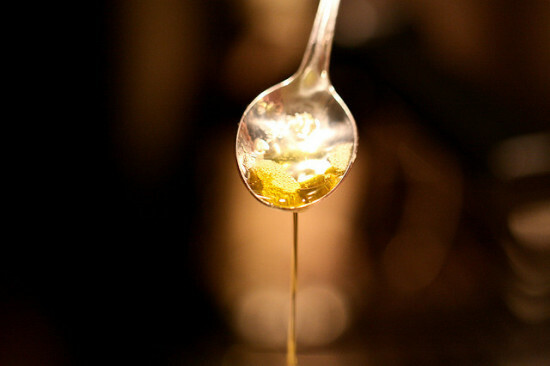 This means that you should cook with an oil that has a high smoke point above typical cooking temperatures (392°F). However, it's not quite that simple. While refined oils tend to have higher smoke points, their polyphenols have been removed along with most of the health benefits. The challenge, therefore, is to find an unrefined oil with a high smoke point for cooking. Below is a chart of various oils in order of descending smoke point. The oil that has the highest smoke point, but is also unrefined, appears to be ghee. Ghee is clarified butter commonly used in Indian, Nepali and Pakistani cuisine. It is traditionally used in Ayurvedic medicine, which has been around since the 3rd century BC. But how healthy is ghee? Ghee has been implemented in Ayurveda to improve the digestive and immune systems. A study published in the Indian Journal of Medical Research found that ghee enhances the availability of enzymes responsible for detoxification of cancer-causing substances and decreases the availability of those responsible for activation of carcinogens. The scientists conjectured that this could be due to the high content of conjugated linoleic acid (CLA) in ghee. Research on CLA has shown to up-regulate the tumor suppression gene PTPRG, and therefore may have cancer-protective qualities. In a randomized, controlled trial, consumption of ghee was also shown to improve HDL cholesterol levels and not adversely effect the serum lipid profile. Ghee is also more fun than other oils. You can make it at home if you're feeling adventurous. I will still be drizzling my salads with fragrant olive oil, and buttering my popcorn with sweet coconut oil. But for cooking, ghee is my favored option. I am not a certified nutritionist or doctor of medicine. I was not compensated monetarily or otherwise for this post. So ghee is clarified butter? It has a high smoke point and is healthy to eat, whereas butter has a low smoke point and is unhealthy? That does not make sense! How can that be? The smoke point is altered because ghee is made by removing the fat solids (along with it most of the lactose and casein). Now, the "healthy" question is much more complicated. Nutritionists and scientists don't always agree on the best diet. And you've probably noticed that recommendations change over time as we learn more, or perhaps as lobbyists and big money throw their weight around. There is a significant lack of studies that investigate a diet rich in animal products, but eliminate processed foods, homogenization, GMOs, and pesticides. One interesting county to pay attention to is Tuoli. While they were feasting when this data was taken, they were shown to eat a diet high in animal products and low in plants. Their cancer and stroke rates were on par, or lower than, the rest of China, whose diet is mostly vegan. What is interesting about their diet is that it differs from Americans in that it is unprocessed. Could that be the key difference? A lot more research must be done.